Kilohana Ridge is an exceptional upscale neighborhood in Kihei in South Maui offering a Wailea lifestyle without the added expense. If these same homes were just a few block south they would have to pay a Wailea Maintenance fee (on top of Home owner’s association fee) that goes toward maintaining the common areas in Wailea with lush tropical landscaping. Kilohana Ridge is perfectly situated on a hillside above world class Keawakapu Beach. 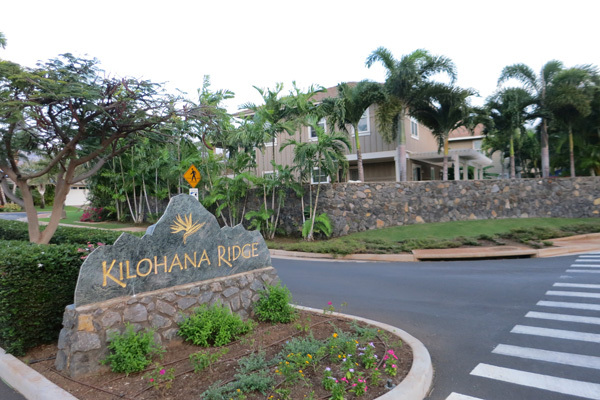 Established in 2003, Kilohana Ridge is a perfectly planned enclave with a set number of luxury home floor plans and exteriors that look related in style, with a set color scheme, to create a residential community with the best in taste and design. The Homeowners Association impeccably maintain the common areas like a grassy park, mail boxes, and landscaping that changes to reflect the seasons by the main entrance. In addition to membership meetings there are community events for residents to socialize during the holidays. The association enforces neighborhood standards with CC&R’s to ensure the sophisticated atmosphere residents want and expect at Kilohana Ridge is maintained. Kilohana Ridge is one of Kihei most prestigious neighborhood. This exclusive residential development features clean contemporary style luxury residences in single and two stories with average interiors ranging from 1,800 to 2,500 square feet. Properties toward the top of this subdivision can enjoy ocean views, island views, and mountain views. There are a few custom upscale homes in Kilohana Ridge but most residences are one of the following twelve models: The smallest floor plan is Model Q a one story with three bedrooms, two baths and 1,547 square foot interior. Model Q-G is a one story with three bedrooms, three baths and 1,687 square foot interior. House Model R has three bedrooms, two baths in a one story with 1,742 square foot interior. Model S is a one story with three bedrooms, two baths and 1,887 square foot interior. R-G Model has three bedrooms and three baths in a single level home with 1,839 square feet. S-G Model is a single story with three bedrooms, three baths and 1,975 square foot interior. The last single story design home T Model is the largest with four bedrooms, two and a half baths and a 2,107 square foot interior. T-G model was the smallest two story with four bedrooms, three and a half baths, 2,162 square foot interior. U Model is a five bedroom, three bath, two story home with 2,471 square foot interior. U-G Model is a 2 story with five bedrooms, four baths and 2,534 square foot interior. V Model has two stories with five bedrooms, three baths and 2,546 square foot interior. The largest developer floor plan in two stories is V-G Model with five bedrooms, four baths and 2,626 square foot interior. Kilohana Ridge is a coveted affluent community with a variety of stylish options especially for homebuyers looking for a single story with average parcel sizes of about 7,500 square feet. Home interiors can feature vaulted ceilings, expansive great rooms, chef’s kitchens, opulent master bedroom suites, and impressive master bathrooms in finishes such as granite, marble, and natural stone. If you are looking for a Wailea lifestyle without the Wailea Price Tag, then you can’t go wrong with a home at Kilohana Ridge in Kihei. 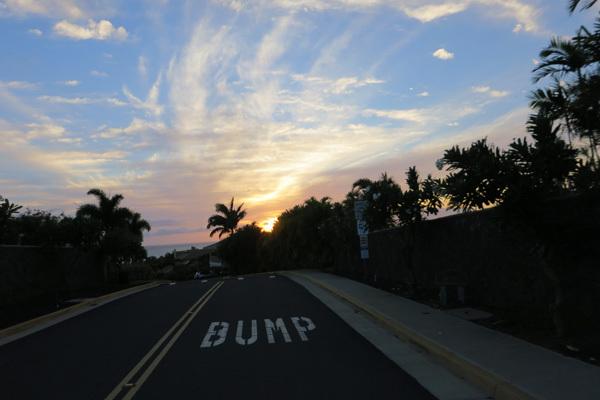 You will have an exceptional quality of life living near all the best that Kihei and Wailea has to offer. If you like the beach Kilohana Ridge is a 5-10 minute walk to Keawakapu Beach a world class white sand beach offering a wide variety of activities including stand-up paddle boarding, snorkeling, diving, swimming, kayaking and boogie boarding. Enjoy a morning jog or leisurely stroll with views of Lanai, Ko’olauwe and Molokini or watch dolphins, sea turtles or whales in season. Enjoy dining at Sarentos on the beach with ocean views or at Five Palms Restaurant which are all conveniently close. It is a short drive to Wailea Resorts and the best restaurants and stores in South Maui in Kihei or the Shops of Wailea. If you like to golf the Wailea Blue Course, Wailea Gold Course, Wailea Emerald Course and Elleair Golf Course are all less than 15 minutes away by car. Mariners will be pleased to find the Kihei Dock is five minutes from Kilohana Ridge offering a place to launch your boat or for you to charter a boat for a fishing trip, scuba dive, or pleasure cruise. Broker Howard Dinits can help you find the Kilohana Ridge home with the right mixture of amenities, features and views you want. You can also contact him to learn more about surrounding neighborhoods to know about all the great real estate options that draw the affluent to Maui.